My church home is Brown Memorial Baptist Church in Clinton Hill. 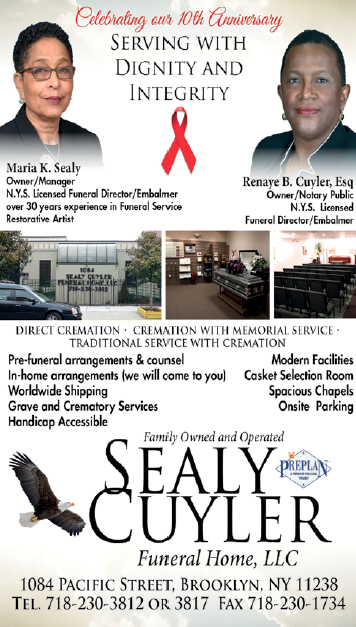 I’ve been attending services there off and on for the last 15 years. This past Sunday, my wife and I did what we do on most Sundays. We dropped my daughter to my mother’s house and we went to church. This wasn’t like most Sundays, though; it didn’t feel like past Sundays have felt. I entered the church and my eyes darted around the entire place, looking at the exits, peering at unfamiliar faces. My jaw was clenched, my posture stiffened. We sat in our normal seats, but occasionally I turned in my seat, watching the doors that lead into the vestibule, and then to outside. I made up a plan, in my head, while I sat through the praise and worship. I made a plan for what I would do if a shooter entered through the doors behind me. My plan went like this: I would pull my wife to the floor behind our pew. I’d move her to the outside of the pew opposite the doors. Assuming that the shooter would enter the church and continue forward, moving her to outside of the pews along the wings would put her in a safe place. Once she was safe, I’d move forward and I’d run down on him as quickly as possible. I’d tackle him, I’d strip the gun from him, and if I needed to, I’d kill him. Right there in my seat, while the music ministry sang praises to God, I affirmed in my own mind that I would kill a shooter if they decided to pick my church as a place to incite deadly fear. And after I affirmed this, I went on worshipping. Welcome to America, Great Again. 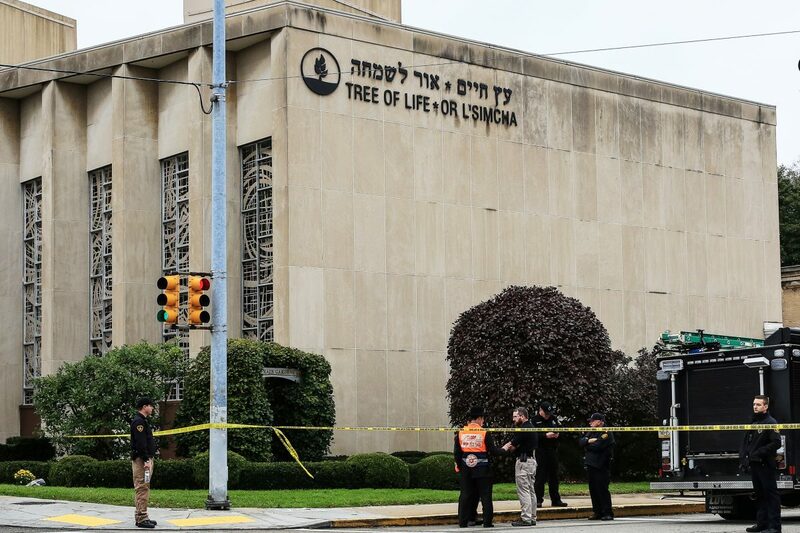 Last week during Shabbat Morning Services at the Tree of Life Synagogue in Pittsburgh, an evil man entered the synagogue and orchestrated the deadliest attack on the Jewish community in the United States. In the end, 11 congregants were dead, another 9 were injured and hate destroyed a holy place. The Tree of Life Massacre capped off a week where hate was victorious in our nation. An evil man from Florida sent 14 pipe bombs to two former presidents, a former vice president, a sitting congresswoman, to CNN and to others. Another evil man in Kentucky shot down a Black man and a Black woman in front of a Kroger Supermarket. That man started his row of hate by trying to enter a Black church. He couldn’t get in. The door was locked. The door wasn’t locked at the Tree of Life. Churches are places for humans to congregate and to worship God. Religion doesn’t matter in this context. Churches, mosques, synagogues, temples, they are holy places because we congregate there to worship God. They are a place of peace and of reflection. They are safe spaces, one of the few places that we should be able to shed our masks and our armor and to present ourselves to God without worry. We shouldn’t have to lock the doors. The elderly, the sick, the afflicted, the troubled and the children should all be safe in our places of worship. Religion does not matter in this context. How low have we sunk when we don’t respect another person’s right to worship? How barbaric have we become when we bring terror to the peaceful. Even gangsters have rules. Tony Montana refused to carry out a hit in the movie “Scarface” because there were women and children in the car. Rose Mallinger was killed at the Tree of Life. She was 97 years old. What kind of world is this when a defenseless 97-year-old woman, worshipping God, gets gunned down in a callous act of rage? Reacting to the Tree of Life shooting, Brooklyn Borough President Eric Adams called on off-duty police officers to carry their weapons to church. He said that from now on, he’s going to go to church with his weapon. Assemblyman Dov Hikind spoke out, saying that he is going to apply for a carry permit. Men of worship no longer trust the world outside of the church. I don’t own a gun, but I no longer trust the world outside either. America is breeding hate, and those in charge are feeding the fire with the kindle of rhetoric and hype. This is the America that they want. They want to push us to the point where we hate, too. So, I humbly ask God for forgiveness for my thoughts, but if an evil man should ever decide to enter my church home with the intent of destroying our place of worship, I will put my life on the line to take his.